October is my favorite time of the year. I'm not sure why, I just seem to love this month. 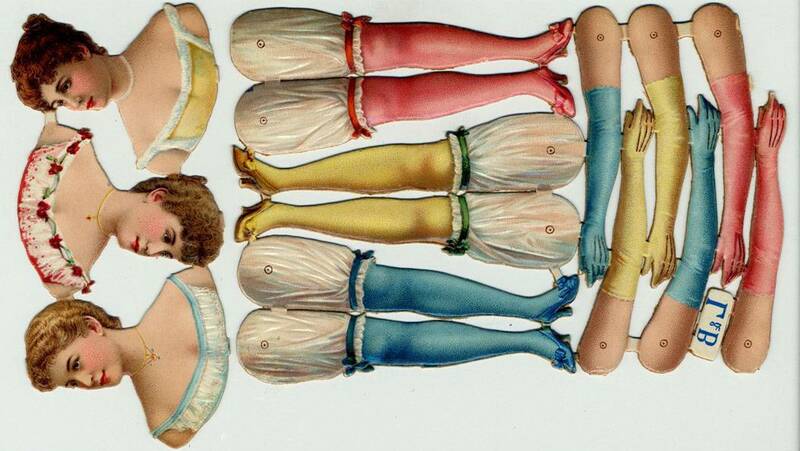 The warm days, cool nights, the leaves are changing and Halloween is around the corner. 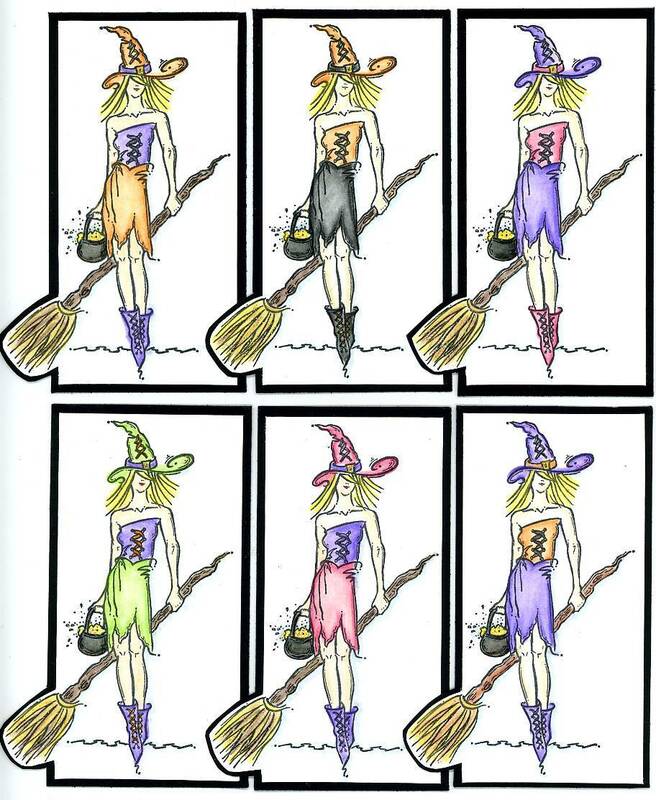 I thought I'd kick off the month by showing some of my favorite Witch Art I've created in the past. 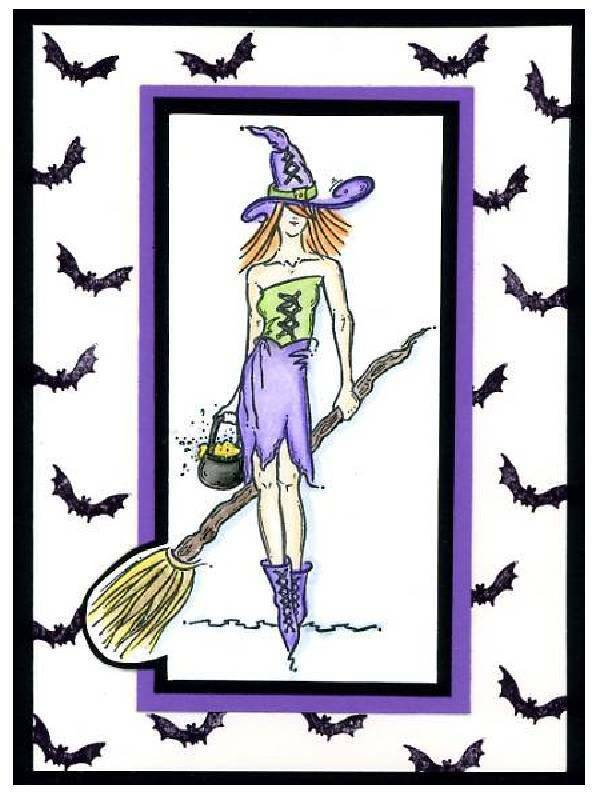 Here is a Halloween Witch card I created a few years ago. Rubber Stamp Witch image is by Whipper Snapper Stamps. 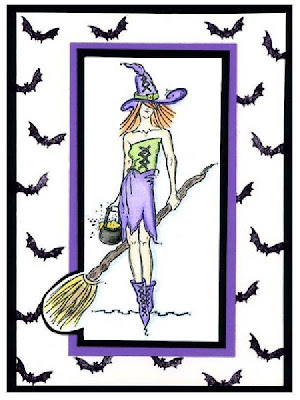 Click Here to see the witch stamp. Bat image used to make the background is by Cherry Pie Rubber Stamps. to add a bit of interest as I colored my witches. 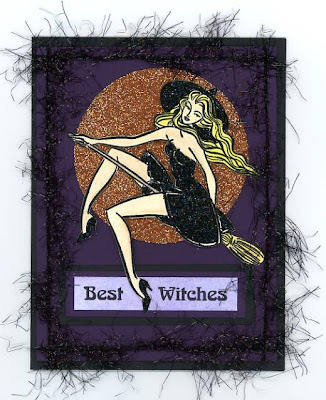 I used pastel pencils and decorative chalks then a bit to glitter for fun. and behind her is a glittered full moon. 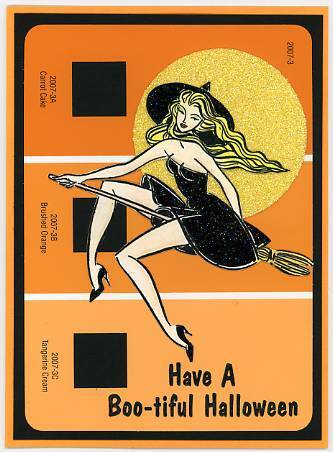 time on a paint chip to make a fun Halloween card. Below are two ATC's (Artist Trading Card) I created that "fold" closed for storage. 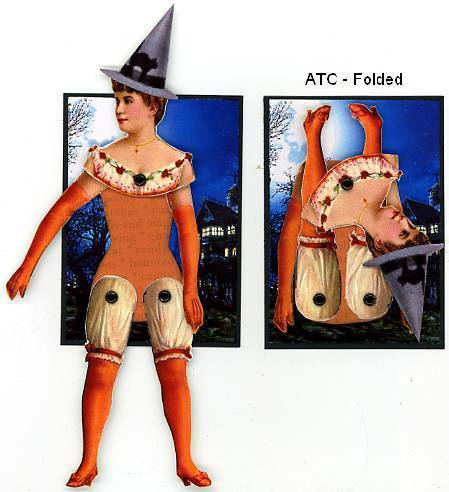 Folding ATC Witch using a scanned copy of one of my antique L&B paper dolls. re-tinted her with an orange marker. 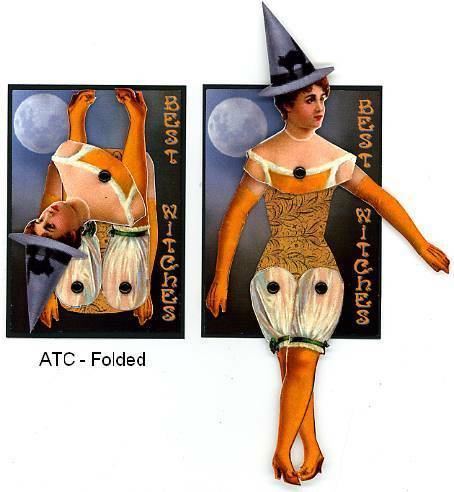 Folding ATC Witch using a scanned copy of another of my antique L&B paper dolls.